At Russia's Far East Port of Vladivostok, Cargotec has received orders from two customers for its market leading Kalmar container handling equipment. Both orders come on the heels of rising monthly throughput figures which can be attributed to the port's healthy export business and favourable location close to Asian-Pacific markets. The contracts for both agreements were signed in quarter two of 2010. SOLLERS Far East LLC, a Russian automobile company, and Vladivostok Container Terminal have both opted for Kalmar E-One2 rubber-tyred gantry (RTG) cranes with the 16-wheel design. Cargotec's 16-wheel units, in combination with the light weight of its cranes, put less stress on terminal surfaces compared to conventional 8-wheel units. "We have enjoyed recent success in selling 16-wheel RTGs to customers in the Vladivostok area where we have sold two units since 2008," says Tero Pajunen, General Director, Cargotec RUS LLC. "Large 16.00 to 25.00 tyres can be used with Cargotec's 16-wheel model to minimise wear and tear costs on the terminal surface. The wheels also counter-rotate when the machine is turning, which results in less actual tyre wear." In 2009, SOLLERS Far East opened a new assembly plant in the Primorsky region. The company has its own quay and terminal at the Port of Vladivostok for the delivery of containerised auto parts. To increase the efficiency of its logistics operation, SOLLERS Far East has ordered one 16-wheel Kalmar E-One2 RTG, two Kalmar DRF450-60S5 reachstackers and two Kalmar TR618i terminal tractors. The customer's 9+1 wide and 1-over-6 high crane will be able to handle up to 45 tonnes under its fully electric spreader. Moreover, the Kalmar E-One2 RTG is electrically controlled which means it has no hydraulics, resulting in longer maintenance intervals, lower operating costs and fewer emissions. Vladivostok Container Terminal (VCT), a subsidiary of FESCO, one of Russia's largest and oldest transport companies, plans to modernise its operations at the Port of Vladivostok. The customer has awarded Cargotec an order for two 16-wheel Kalmar E-One2 RTGs and four Kalmar TR618i terminal tractors. 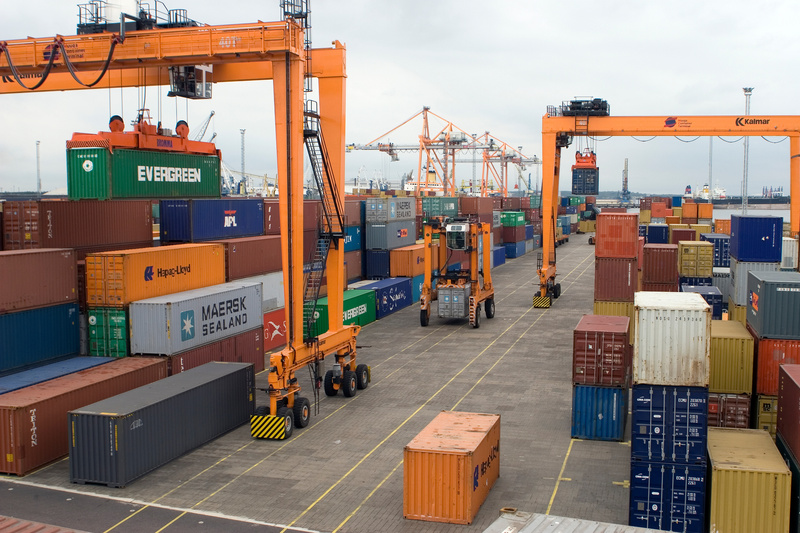 The cranes' reliable and productive reputation assured VCT that its new 6+1 wide and 1-over-5 high Kalmar RTGs would enhance the terminal's performance while minimising its environmental impact. "As an immense country that is home to one of the world's largest railway networks and multiple bustling seaports serving international clients, Cargotec is committed to serving customers in Russia," comments Pajunen. "Our parts and service centre in Vladivostok is just one example of how Cargotec delivers peace of mind by operating close to our customers." The Port of Vladivostok situated on the northwestern coast of the ice-free Golden Horn Bay was founded in 1897. The port mainly handles containers, metal products, cars and vehicles, pulp, and other cargoes. In combination with the light weight of Cargotec's cranes, Kalmar E-One2 RTGs with 16 wheels put less stress on terminal surfaces compared to conventional 8-wheel units.